Is it possible? Am I actually going to present you with a Tator Tot Casserole? Yes, and I feel no shame. 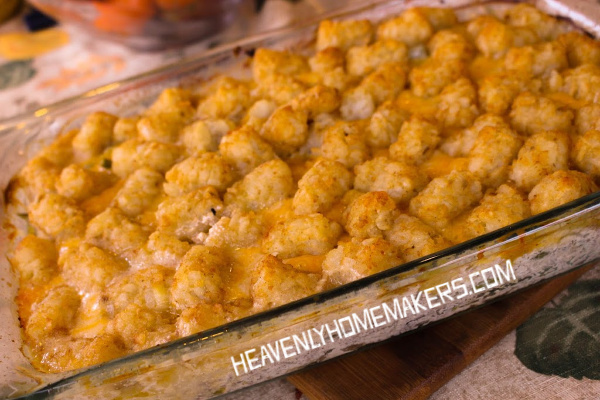 I have purchased the tator tots and I have put them onto a casserole and I am sharing the recipe with you here today. I was able to simply adapt the original recipe I was given many years ago to turn it into a mostly “real food recipe.” No cream of mushroom soup here! Still just as delicious. Everything in this casserole is wholesome and good. But the tator tots on top? I dumped them right out of the bag and I ignored the ingredient list and well, that is all. I just did. Remember that one time I experimented and came up with a way to make Homemade Tator Tots? Who even was that girl anyway? She sure was ambitious! And fun and creative. But now? Well, I just don’t spend my time making tedious recipes anymore. And typically I don’t use packaged ingredients in recipes. 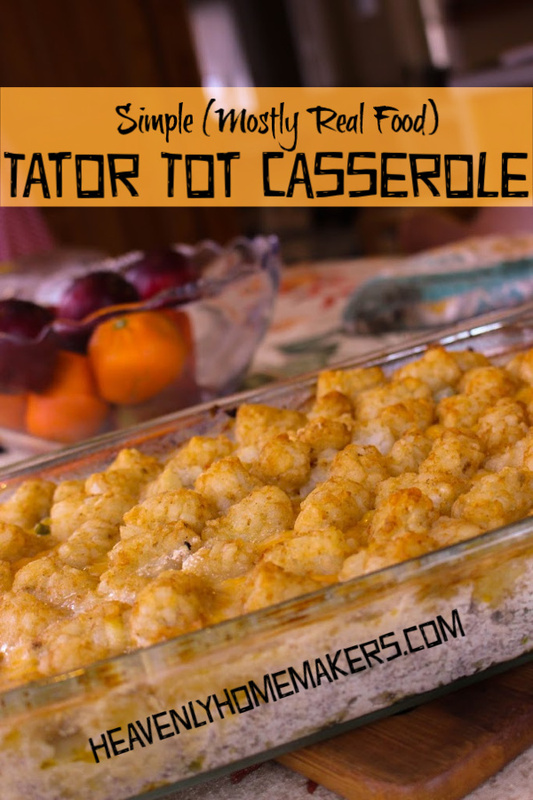 But I got a hankering for my childhood favorite Tator Tot Casserole and I just went for it! Tator tots aside, everything else in this recipe is created from whole foods and great ingredients. They are likely ingredients you already have on hand, which makes this a simple and fun meal to serve your family. This recipe freezes well, so while you’re making one Tator Tot Casserole, you might as well make two or three. 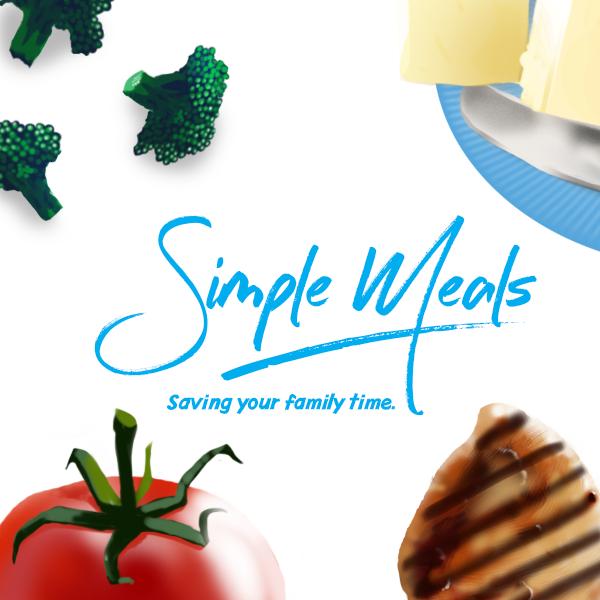 Then you can freeze the extras for a meal on a busy day! Brown hamburger meat with onion, garlic, and salt. Mix cooked meat with green beans and sour cream and spread mixture into a 9x13 inch casserole dish. Spread shredded cheese over the mixture. Top with frozen tator tots. Bake in a 425 degree oven for 30-40 minutes or until bubbly. Ha! I thought of you a few weeks ago when a local organization made a “TaterTot Bar” as part of a fundraiser. They gave each person half a bowl of tatertots, and then let them make their own “casserole” by choosing toppings to put on it. (Meat, cheese, veggies, sauces). Thanks for the recipe! Sometimes you gotta just not look at the ingredients and know you’re doing the best you can elsewhere! Also, I’ve had Cauliflower Tots that taste pretty good and might work in this recipe. If I remember correctly they still have some type of sunflower or canola oil but otherwise OK ingredients! Ooh, what a good idea! Haha!! I’m so glad to see you posted this!! This is one of our favorites! And I just recently figured out how to do it with sour cream instead of cream of mushroom soup. All real except the tater tots! But this is such a quick and easy meal to put together especially if you have cooked hamburger already on hand! We like it with peas. Or sometimes we just have the veggies steamed on the side. Peas would be an excellent addition! Yum! Can’t wait to try this recipe! I sometimes get Alexia or Kroger Simple Truth tater tots as a treat (pretty OK ingredients too!) Thanks for sharing! Hope your family enjoys it! Ooooooo….I’m excited about this recipe, but even MORE so about the baby in your house–and arms! Praying for stamina and good sleep for all y’all. ? We love tater tot casserole. I make it with all real food also. So, good. But I had forgotten all about it, so thank you for sharing! And blessings to you as you love on your bonus boys and sons! I have been using some of your recipes for years Laura! I will be making your homemade noodles next week as I carry over turkey noodle soup from “Turkey Week” over into “Pork Loin Week.” I just started a new blog called Fresh Fun Life–Living a fresh, fun life in your forties. I love for you to check it out! Congrats on your blog launch! I clicked over, and checked it out. You are an excellent writer! Good luck with all your blogging goals.